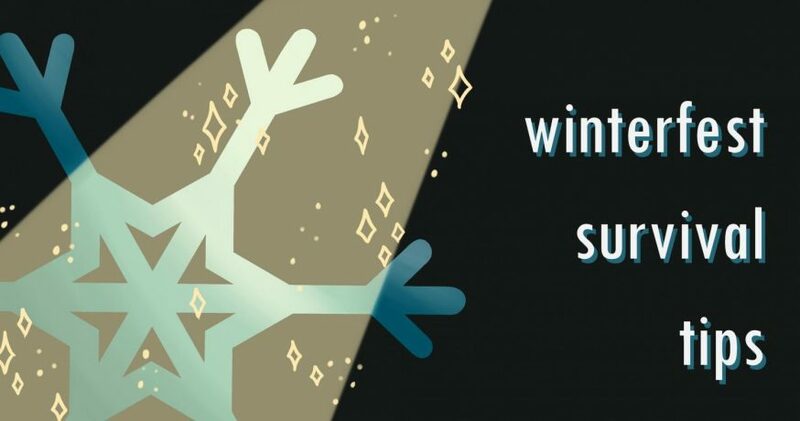 Get ready for another school dance–Winterfest is here! Dances can be a lot of fun, but unpleasant surprises can sometimes steal the night away. Here are five tips to surviving your Winterfest experience while making the most of it. This is one of those situations where you don’t want to procrastinate. The longer you wait the more expensive the tickets will be. In general, the price is 15 dollars the first week, 20 dollars the second week, and 30 dollars for those who wait until the very last possible moment and buy their ticket at the door the night of the dance. The first week of ticket sales has already passed, but all of you who haven’t purchased your tickets yet are in luck. Due to inclement weather and school cancellations, tickets will be sold at the door on the day of the dance for 15 dollars! But typically, it is better to buy your tickets early and save some money. This week has had some chilly weather and subzero temperatures. Although the worst has passed in the middle of the week, it will still be very cold on Saturday. Bringing a coat is a smart idea even if you are outside for only a couple moments, and you won’t need to worry about carrying it around all night. There will be a coat check area in the atrium where you can leave your coat and other belongings that you don’t want to lug around. Chances are that you will be dancing at a school dance. However, things can get painful really fast if you are breaking in a new pair of shoes or wearing high heels. Some people do decide to go barefoot, but they might find themselves stepping in someone’s spilled drink or being stepped on by someone else’s shoe-clad foot. To avoid all these unpleasant experiences, simply wear shoes that won’t give you blisters after an hour on the dance floor. Give yourself enough time for any plans you have before heading to Winterfest, whether this is hanging out with friends, grabbing a bite to eat, or just getting ready. It’s better to overestimate than underestimate the time you’ll need to prepare for the dance. Otherwise, you might find yourself scrambling just to make it to the dance half an hour late. However, if you aren’t planning to attend Winterfest for three whole hours, you would benefit from being fashionably late. This way you don’t have to wait outside in the cold for the doors to open, and there won’t be a line in the coat check area. It’s no secret that some things on the school dance floor make people feel uncomfortable. To give yourself the best chances of avoiding uncomfortable experiences, circle up and dance with your friends toward the edge or back of the dance floor. The further you go toward the middle or front of the dance floor, the more crazy and crowded it gets.